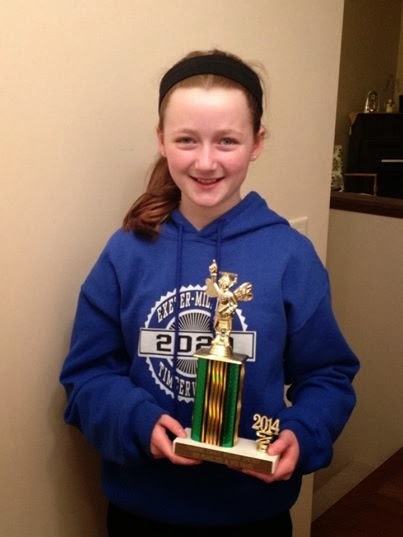 Caitlin Murphy poses with her 3rd place trophy from the Fillmore County Spelling Bee that was held in Geneva on February 18th. Exeter-Milligan Eighth grader, Clarissa (Claire) Mounce placed 3rd in the Junior High Division of the Fillmore County Spelling Bee. Other junior high spellers competing were Josie Kresak, Colton Bossaller, and Katarina (Katie) Mounce. 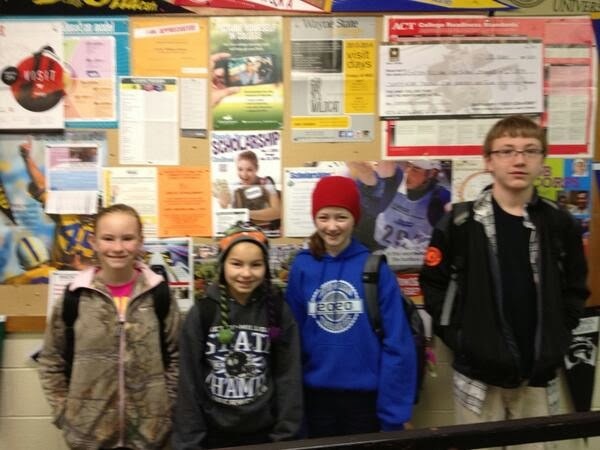 The 5th & 6th grade participants in the Fillmore County Spelling Bee were pictured from the left Georgia Meyer, Jaiden Papik, Caitlin Murphy and Ryan Sharp.